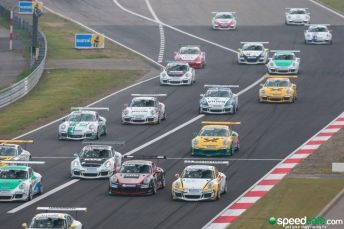 Nick Foster tells Speedcafe.com’s Stefan Bartholomaeus about his German Carrera Cup deal with Timo Bernhard’s Team 75. 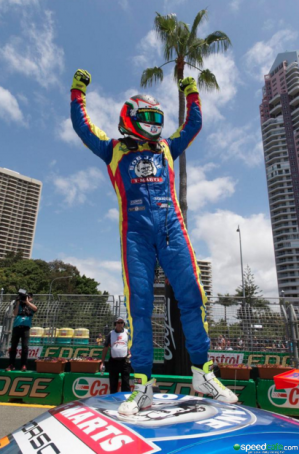 SPEEDCAFE: Nick, congratulations. Talk us through how this deal has come about. It’s obviously something you’ve been working on for a while. NICK FOSTER: It’s been a big process. We started talking last year around November, so realistically it’s been four months in the making. For me it’s a big step and we’ve worked hard to get partners on board to follow us over to Europe. That side has definitely been the toughest. I’m very fortunate that I’ve got good backers in Outback Camps Australia and Bob Jane T-Marts that have really helped me make this step. I’m sure Timo and his team have had other offers from other drivers in the last couple of months, but they were keen to have me onboard and have put faith in me to get the deal together. I’m excited to get over there but also just to get back racing again. It hurt a little bit watching Clipsal from the sidelines. 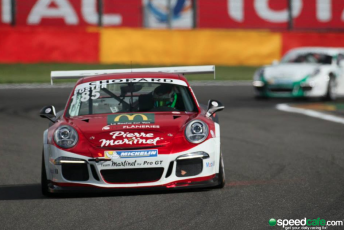 SPEEDCAFE: You did a Carrera Cup race at Spa last year and also competed in the Porsche Junior Scholarship test. Do you feel that helped set you up for this new challenge? FOSTER: Absolutely. Although I didn’t win the Scholarship, a few different opportunities certainly opened up from it. The test was a really good gauge for me to see where I was at against a lot of other young guys because everyone was in the same car going for a lap time. Racing at Spa showed me the level of competition and also the level of enthusiasm when it comes to driving as well. It’s a lot tougher racing over there then some of the girly, ‘you touch me and I’ll get upset’ type of thing that we’re accustomed to in Australia. That side of things was a big step up. I copped a fair few whacks over there that I was keen to avoid, but it was a good welcome to racing in Europe. It’s tough. Everyone is there to win and the depth is there too. I’m looking forward to the challenge and seeing what we’re made of. It won’t be easy and I’ll be learning the circuits too, but fortunately I know the cars already so I don’t have to worry about that side of it. SPEEDCAFE: You seemed to tone down your naturally aggressive style in order to win the championship last year. Will you have to change that mindset again to compete in Europe? FOSTER: I don’t think I toned down the aggression, I just made a lot less mistakes and got the job done. Last year I was probably as aggressive as I’ve ever been, I just applied it slightly differently and limited the mistakes. The aggressive nature of the driving (in Europe) probably does suit me a bit more, but that’s not what we’re going over there for. I grew up racing some of those Euro guys, it’s where I honed a lot of my talent in TRS (Toyota Racing Series), being hit by guys left, right and centre. That’s where I learnt to race and that’s how they race over there, so I’m excited to be a part of it. SPEEDCAFE: You mentioned that you’ve got a lot of tracks to learn. Are you approaching it as a learning year, or do you feel you’ve got to make the most of it from the first lap? FOSTER: It’s going to be a bit of both, to be honest. I’ve driven the car enough for it to not just be a learning year, but by no means do I expect to be P1 in opening practice at Oschersleben, because that would be overestimating my own talent. It’ll be tough to learn and perform at the same time and maybe there’ll be a few mistakes, but we’ll press hard and hopefully things work out for the best. SPEEDCAFE: Making the move to Europe is obviously a big moment in your life. How has that side of it come together? FOSTER: I’ll be living with my engineer in his spare room, not too far from the workshop. It’s going to be good to get to know each other and just develop more over the course of the year. The engineer-driver relationship is very important in Carrera Cup and I was very fortunate to have a strong one in Australia. I owe a lot of my success to the relationship with Mike Henry and Michael Ritter and I hope to try and emulate that over there. I’m very fortunate that the team speaks very good English, which will make it a lot easier. I’ve got some German basics down pat, but I’ll be working on that through the year because it’s always better to know someone’s first language so there’s an understanding on both fronts. 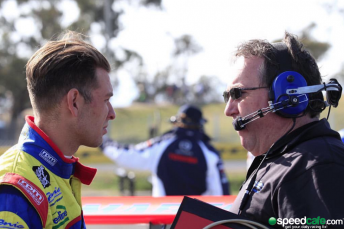 SPEEDCAFE: Ideally, how is the career going to unfold from here? Would you like to be settled in Europe for some time racing GT cars? FOSTER: That would be ideal. Now that I’m basing myself there it’ll be a lot easier to be involved in worldwide GT racing. The end goal for me is to be racing GT full-time, whether that be prototypes or GT3, I don’t know. At this point it’s about concentrating on what’s at hand. It’s going to be a very, very important season and I want to do well for myself and Team 75.